Klear Shaker is the latest nano-coated protein shaker that drastically reduces the number of harmful germs in the bottle. In this article, we will go through the detail of all the sale gimmicks and claims, and ultimately, you will learn whether is this protein shaker really worth-a-buy. Cleaning protein shaker is a big hassle. The protein always caked up at the bottom hard-to-reach corner, making cleaning so much difficult. In many cases where we didn’t clean up properly, it becomes an ideal breeding ground for bacteria which later gives you a bad and awful smell. Klear Shaker features the nanotechnology coating which has natural antibacterial properties to kill off most of the harmful germs, as well as stabilizing the smell-producing particles. To give you a clearer picture, please check out this short video about the nano coating. Nano-technology is always a good trend to go for… or is it? Although it might be very cool to own one, please be reminded that no nano-coating lasts forever. The creator claims that their shaker has gone through the MEK rub test which is able to withstand over 2000+ times in the lab and is equivalent to 5 years of using. In many cases, the actual performance will be drastically reduced due to the fact that we use to hold drinks in different temperature and pH (chemical reaction), and more, so there is a lot of uncertainties yet to be confirmed. We don’t use nano-technology coating directly in our food-related field for a reason. Yes, the most important thing is about the food safety. Does the coating safe to consume? how will it react to our body in long term? 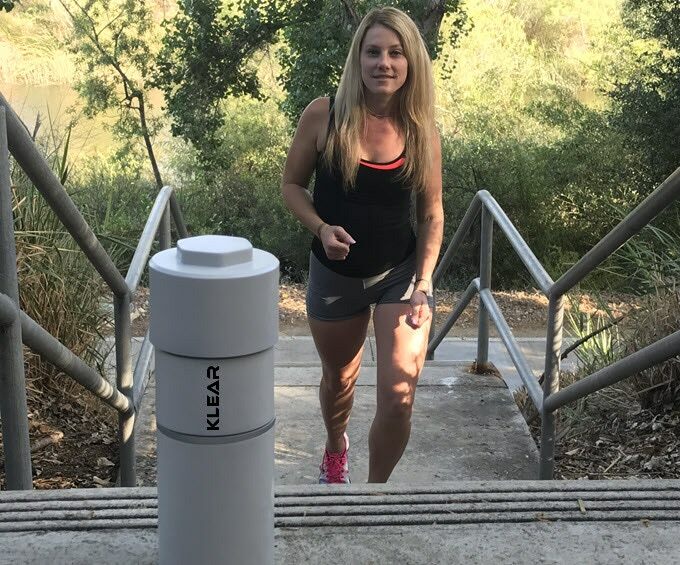 To answer all these questions, the creators will have to go through more extensive research and testing before putting up the Klear Shaker onto the market. While it’s great to destroy harmful germs, it’s not that all bacteria are bad. Our body itself needed a lot of good and helpful bacteria so to make our body working properly. That said, yogurt presents of probiotic (good bacteria) to help with our body and the coating designed to indiscriminately destroy all of them. So, don’t use it for any fermented drinks, including some of the fruit juices. Plus, other than the smell, most of the time, most germs (that are listed on the Kickstarter page) can usually be easily killed by our own body immune system, that’s why even with all that statement about the “hundred thousands of cfu (bacteria colony forming units)” present, you don’t usually get sick from 331, 848 cfu in toothbrush holder as long as you maintain the normal hygiene. The number is just to scare you. In overall, is it worth it? No, we don’t think so. Other than the points mentioned above, the shipping fee for the overseas backers is huge ($20) without including some of the taxes. For the US, $9 is still reasonable. Other than the nano-coating gimmick, the bottle is actually not much different from this one. Anyway, if you would like to give Klear Shaker a try, feel free to grab your discounted one via the link below. The world's first odor eliminating/self cleaning protein shaker.